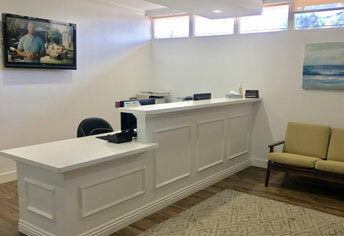 Dr. Chen has a great team, friendly staff, and a comfortable & beautiful office. I went to many dentists for consultation, and Dr. Chen was the most sincere dentist spending time understanding my needs and providing me a well-thought-out plan with the best solution. I’ve decided to follow his treatment plan and been having only good experiences so far. Would highly recommend. I have been to this dental office a few times now, and I really love it here. I’m very afraid of the dentist, but Dr. Chen makes me feel very comfortable, he’s very patient with me and takes his time which I really appreciate.?Dr. Chen has filled cavities for me, and I felt no pain which was awesome. I would definitely recommend this place to a friend or family member.. Recently moved to SoCal from Bay Area and needed a new dentist. A friend recommended Dr. Chen, so I made an appointment for a routine cleaning. The office is quite nice inside, looked clean and there was a TV to watch while Dr. Chen did his work. He had glasses to protect my eyes and a bridge to keep my mouth comfortable. No pain and teeth were nice and white afterward! Dr. Chen was great at checking in periodically to make sure I was okay. Definitely, recommend him for anyone else looking for a great dentist! I am new to the area and needed to get established with a dentist. Dr. Chen and his staff are so awesome; I’m glad I chose this place. I got a deep cleaning, X-rays & filling. 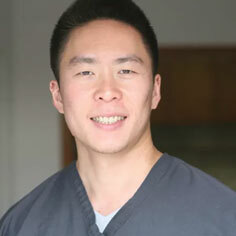 Usually, the dentist is an uncomfortable experience, but Dr. Chen is very gentle & gets the job done in a timely fashion. Definitely recommended. 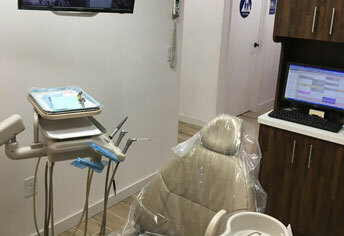 Patients enjoy high quality dentistry in a warm and caring environment at Ocean Smiles Family Dentistry. 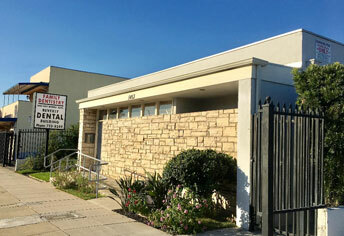 This practice has been caring for patients in the Montebello and Eastside areas of Los Angeles for over 40 years, and Dr. Steven Chen and his team look forward to serving you and your family and carrying on the tradition of excellent dentistry established by his predecessors. Our convenient location on Beverly Drive, off Atlantic on 60 Freeway, makes it easy for us to serve the communities of Montebello, East Los Angeles, Monterey Park, Pico Rivera, Whittier, Commerce, and Santa Fe Springs. 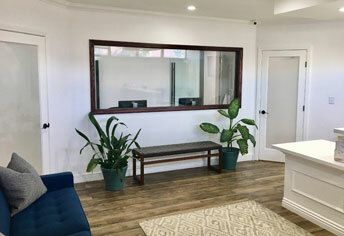 Patients will find a modern yet welcoming environment complete with amenities such as televisions in treatment rooms and plenty of free parking to make their experience at our office pleasant and comfortable. 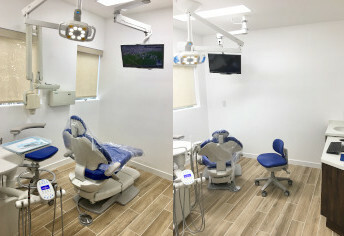 We have also equipped our office with state-of-the-art technology to ensure that procedures are smooth and efficient. At Ocean Smiles Family Dentistry, Dr. Steven Chen and his team strive to build relationships with each patient. We think of our patients as family members and our goal is to provide precision dentistry combined with an excellent patient experience. Dr. Chen diagnoses his patients with integrity, so you can always rely on the fact that the treatment recommendations he makes will truly benefit your oral health and your smile. 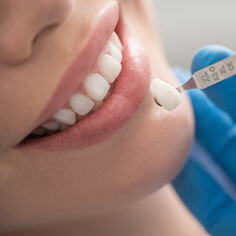 We work with our patients to ensure that the high quality dentistry they deserve fits comfortably into their budget. We know that it can sometimes be difficult to fit the care that you need into your busy schedule. For this reason, Dr. Chen offers convenient evening appointments as well as availability on one Saturday each month. We want to fit into your schedule without you having to rearrange yours. If you or a loved one are dealing with a dental emergency, we make every effort to see you as soon as possible, and we can often provide same-day dentistry if needed. 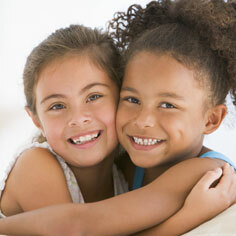 We view ourselves as your partners in optimum oral health at Ocean Smiles Family Dentistry. This means we will take the time to educate you about your oral health, provide tips for making the most of your home care routine, and help you select the right treatment procedures for your lifestyle and budget if treatment becomes necessary. You will always have the final say on the treatment that is right for your needs. 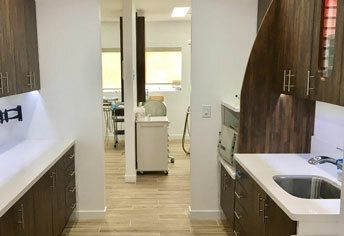 If you are looking for a new dental home that has your best interests at heart, look no further than Dr. Chen and his dedicated team at Ocean Smiles Family Dentistry! Give us a call today to arrange a convenient time for your next appointment.